Osmangazi Journal of Medicine is an open access journal and welcomes clinical and experimental articles, case repots, letters to editor, medical news and summary repots. It is published on January, May and September. The language is Turkish / English. The of journal aims to enable scientists working in the field of Health Sciences to reach current knowledge and experience in selected topics. 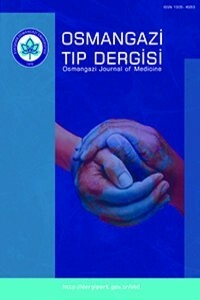 Osmangazi Journal of Medicine is currently indexed in the TR Dizin ULAKBİM, Index Copernicus, Bielefeld Academic Search Engine (BASE), OpenAIRE, DRJI, Google Scholar ve Türk Medline databases. Evaluation of the Differences Between Office and Ambulatory Blood Pressure Values in Children with Structurel Renal Anomaly.